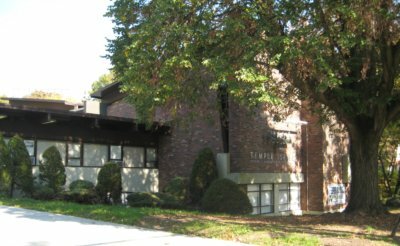 What is Temple Israel all about? How important is it for people to belong to a Religious Institution? This past month has provided answers to these questions. We, as a Congregation, have experienced a roller-coaster like series of events that have brought us from the heights of happiness to the valleys of sadness and back again. We have supported our fellow congregants who have sustained losses of family members, shared in the joys of family Simchahs and celebrated a joyous Jewish festival . In all of these situations, we have acted together as a unified Temple Family. It was heartening to see long-time members as well as newer family members interact to provide one another with the support needed to overcome losses or celebrate happy occasions. It is our continued desire that this will remain a cornerstone of our Congregation. We hope to greet many of you at our Temple-wide activities during the coming months as we celebrate Holidays and Shabbats together. 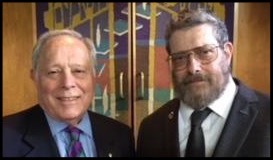 Please be sure to join with us as we continue to build a healthy and cooperative community of congregants who are dedicated to the mission of Temple Israel Reform Congregation of Staten Island. We offer our best wishes to each and every one of our members. Encourage your unaffiliated friends to join with us in our future events. We wish you a beautiful, peaceful and happy Passover. If you have any questions about our temple or would like to contact the Co-President directly, please feel free to email us at tmplisrael@aol.com and mark the email attention Co-Presidents: . You may also leave a message for us at 718.727.2231.